Bachelor of Science with distinction from the McIntire School of Commerce at the University of Virginia. Thomas A. Carver founded Harren Equity Partners in 2000. Tom currently manages all aspects of the investment and portfolio management process at Harren and is a member of the board of directors for all of Harren's portfolio companies. 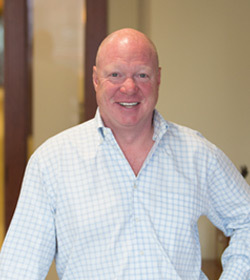 Prior to founding Harren, Tom Carver was a partner at H.I.G. Capital in Miami, Florida. While at H.I.G., Tom served on the boards of many portfolio companies and was one of the firm’s original professionals. Tom also has significant operating experience. He served as interim president of Plastic Fabricating Company, a manufacturer of mission-critical composite plastic parts for the aerospace industry. Through the eighteen months Tom spent in Wichita, Kansas, the company significantly grew revenues and profitability. Additionally, after the unexpected death of Virginia Explosives & Drilling Company's President, Tom served as interim President of the company in Grundy, Virginia. Tom worked with the company's other executives to generate a two-fold increase in revenues and a three-fold increase in profitability. Tom is active with the University of Virginia, serving as a Trustee for his class at the McIntire School of Commerce and lecturing at both the undergraduate and graduate business schools. Tom served on both the Finance and Information Technology Subcommittees for the Board of Directors at Martha Jefferson Hospital. Tom is married with two children and two dogs. In his free time Tom enjoys golf, ice hockey, fly-fishing, skiiing and hunting. Tom is also an instrument rated private pilot.